If you aren’t quite ready for Christmas yet, this podcast is for you. 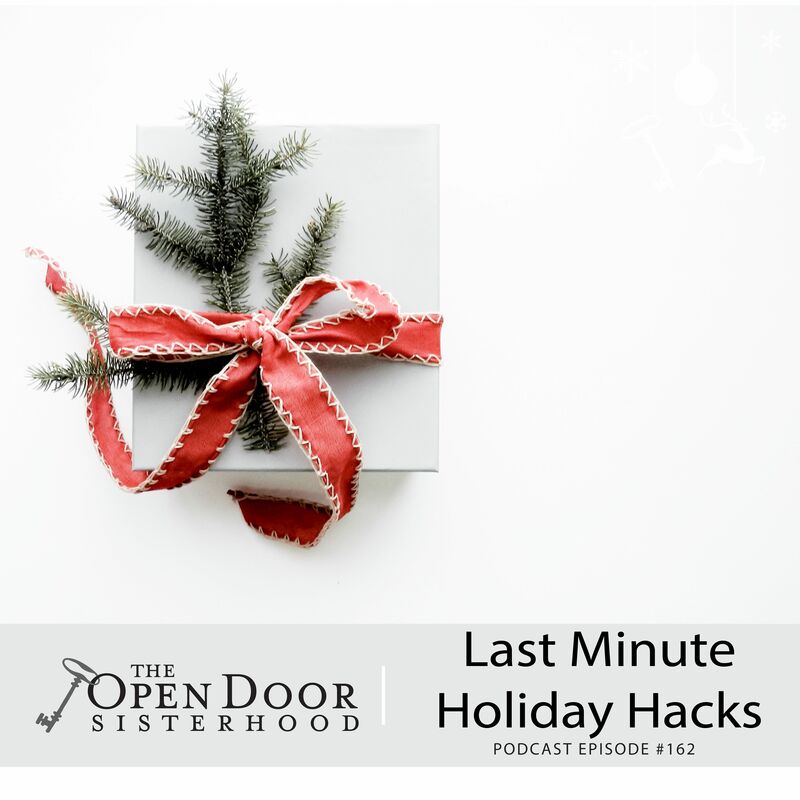 In this episode we offer last minute holiday hacks that will help you get ready for the big day. Or maybe you just need some fresh inspiration! Need appetizer or dessert ideas? They’re in here. In a gift panic? We offer an idea that won’t require frantic running around the mall. Struggling to “create Christmas?” Learn why it’s best to draw on the five senses for holiday memories, and how we can think through that a little better. This practical episode will move you toward the goal of the holidays: to get organized so that we can enter in to Christmas with the joy, peace, and love that Christ came to the world to give. Brie Appetizer: Buy a brie round, and slice off the top rind layer. Place a puff pastry dough sheet under the wheel with the flat top facing up. Spoon jam generously onto the top. Wrap the whole wheel (including jam) with the dough and seal. Cut a few slits in the top. Brush the dough with an egg wash if desired. Bake at 350 for 10-15 min. or until golden brown.